The post below used to be an annual re-post from the original made in 2010. It’s still relevant and remains largely unchanged, with a few minor edits. Today consumers nationwide are partaking in what has affectionately become known as “Black Friday”, a national marketing campaign in which “big business” lowers prices and quantities to increase demand, and subsequently profits, all in the name of “holiday shopping”. Next week, many of these same buyers will move their shopping frenzy to the internet for the online equivalent known as “Cyber Monday.” What’s alarming is the captivity which the desires of people’s hearts claim over them during these mass marketing events as buy ing and spending become as addictive as any drug. How far we have come from the simple prayer of “Give us this day our daily bread” to give me this, that, and the other and make it two of everything. As a society we have moved further and further from the purchases of necessity and the reliance upon God to fulfilling the desires of our hearts with wants, demands, abundance and the “Have it your way” mentality. 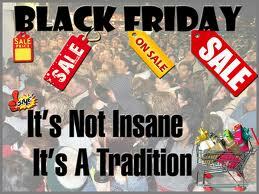 Even though I don’t participate in “Black Friday”, I can be just as guilty of this attitude. Now I realize that many purchases during these events, and more specifically this time of year, are made with “gift-giving” in mind, so I’m not attempting to drive you to guilt simply for shopping for loved-ones, but at some point we must stop and ask, does the recipient of the gift really need what we are buying or has the entire gift-buying/giving process become a product of the consumerism mindset? No doubt some will debate this point with me, likely even labeling me a “grinch”, but before you do consider this, the spirit of consumerism is no more than a cleverly devised plan of Satan through the instrument of deceitful men in order to distract the masses from God. Think this isn’t the case? You may be asking how this brief lesson in history on consumerism combined with consumer events such as “Black Friday” and “Cyber Monday” have any relevance on how Christians are to live within a biblical worldview. Read carefully our subject passage above from James and note the destructive forces that gluttonous desires have on the hearts of men. James states in verse 5 that those who live in “luxury and in self-indulgence” have “fattened [their] hearts in a day of slaughter” a strong condemnation against modern consumerism. Note also the warning Jesus provides in describing those who place emphasis on treasures of the heart, “19 “Do not lay up for yourselves treasures on earth, where moth and rust destroy and where thieves break in and steal, 20 but lay up for yourselves treasures in heaven, where neither moth nor rust destroys and where thieves do not break in and steal. 21 For where your treasure is, there your heart will be also.” Matthew 6:19-21. Jesus is saying that what we value most in life will capture our hearts. His admonishment is for an eternal perspective and to focus on heavenly treasure, which comes only through a relationship with Him. Quite simply there is no Biblical basis or “liberty in Christ” that supports the overabundance of material possessions for believers here on earth. In fact, it is to the contrary. 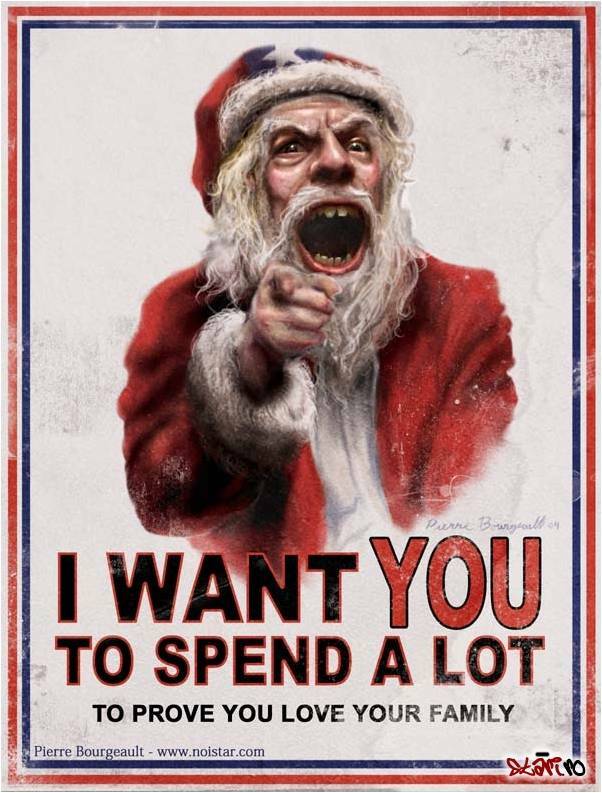 Consumerism reigns supreme in this country year round reaching its apex during the Christmas season and as such has become the stumbling block to the Gospel for the majority of people born in the last 100 years. Christian do not let the world distract you with her flashy lights, her savory ads, low prices, and next “big thing”. It’s ok to give gifts to one another as long as it’s done so within reason, but ask yourself am I contributing to the vicious man-centered cycle of consumerism? Or am I looking for opportunities to glorify God and show the love of Christ to those whom the Lord has surrounded me with and ultimately share the greatest gift of all, Jesus Christ, with someone who has not yet received that gift. The “good news of great joy” of which the angel speaks at the time of Christ’s birth in Luke 2:10 has nothing to do with any material gifts that fade away, but instead the amazing, awesome perfect gift that is Jesus Christ and the eternal life given to all those who repent and put their trust in Him.